Although not as popular as it once was because of the large amount of different flooring types on the market, carpet is still running strong as the leading floor covering choice in the U.S. This is for good reason, it has many advantages for residential living and while it may not be everyone’s cup of tea it is a front runner in innovation and design. Today, we will be going over five great reasons that carpet will add value to your home and lifestyle. 1. 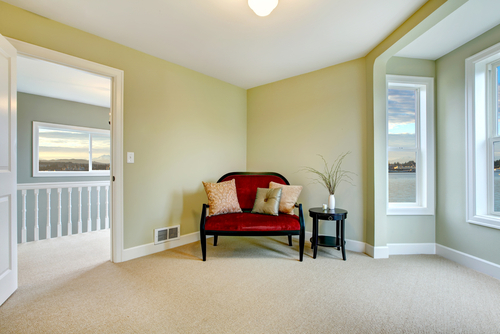 Carpet is an Excellent Insulator – Carpet has the most warming effect on your home compared to its counterparts. If you are a barefoot walker in your home, you really have no better options available to keep your feet cozy during the winter. Surprisingly enough, it gives you the potential to reduce your electric bill as well. If you keep a mindful eye on that sort of thing, you will notice that you utilize your heating units much less during day time hours with carpet. 2. Not Expensive – Granted you can go all out and get a very high quality and expensive carpet like any other type of floor, but you don’t really need to push the budget to achieve a beautiful floor that will last a fair amount of years. When you compare the cost of carpet to other flooring options you will notice that it is drastically cheaper than hardwood and tile floors. Also take the installation into consideration. When you get down to it, a carpet is professionally installed for a lot less than hard surface flooring options. This is because it requires less time and labor. 3. Sound Reducing Properties – Do you have a lot of noise resonating from up or downstairs? Well carpeting would be a viable solution to cancelling a lot of the noise between floors. Because of its plushy construction, carpet makes an excellent sound barrier. Both the fibers and backing absorb and dampen sound waves. There is even sound reducing carpet cushion that you may elect to install if you really want a quiet and calming space. 4. Protection – Hard surface flooring can be somewhat slippery when wet reducing its overall safety for any home. Also the hardness factor of the flooring will make falls more dangerous. 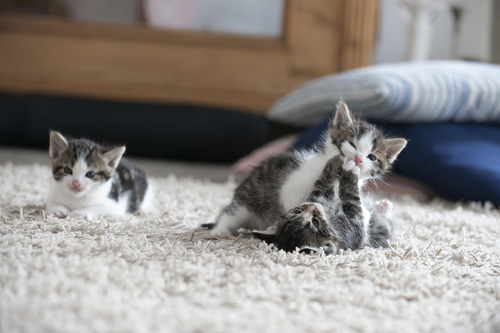 Carpet is a great way to protect your family from bumps and bruises. It is more safe for infants when crawling around on the floor because they do not bruise their knees from bumping them on a hard surface all day. All and all it is a great way to prevent bigger accidents from happening in you household. 5. 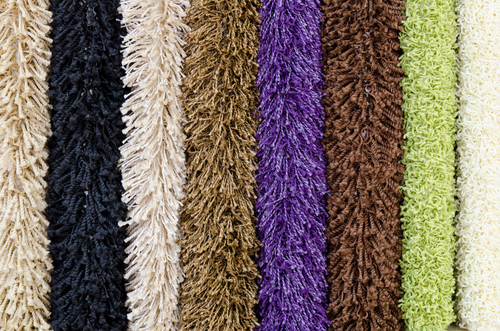 Easy Decorating – There are a vast amount of carpet styles, textures, colors and types to choose from on the market. Even though they don’t have the same charming and rustic appeal that hardwood floors my have, carpet is a designer’s choice in flooring for a home. The options are simply too large to resist. This is one flooring option that will allow you to design your room, then find a carpet to match it. Not the other way around. Mother’s Day Area Rug Giveaway Winner Announced! Make the Right Choice with Natural Choice Carpet! Next story What does Laminate Flooring Thickness Mean?